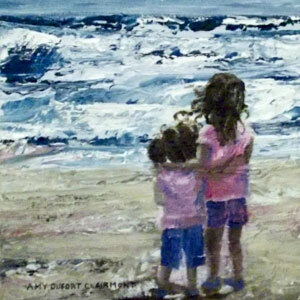 Capturing such an intimate moment, an almost spiritual connection that these sisters share, simply called to be created at my easel. The vastness of the ocean seems to call out the knowledge of a creator to these young ones. I see the creator communicating with the created.